Take time out with our delicious afternoon tea. We serve afternoon tea from 12pm-6pm. You can book your table by calling us on 01326 240421. Spoil yourself with an elegant afternoon tea, including a selection of sandwiches, a homemade scone with jam and Cornish clotted cream, plus two homemade sweet treats. All served with your choice of freshly brewed tea or coffee. For extra luxury, add a chilled glass of Cornish Prosecco for £6. Treat yourself to a Cornish classic: tea or coffee and two homemade scones with jam and local clotted cream. 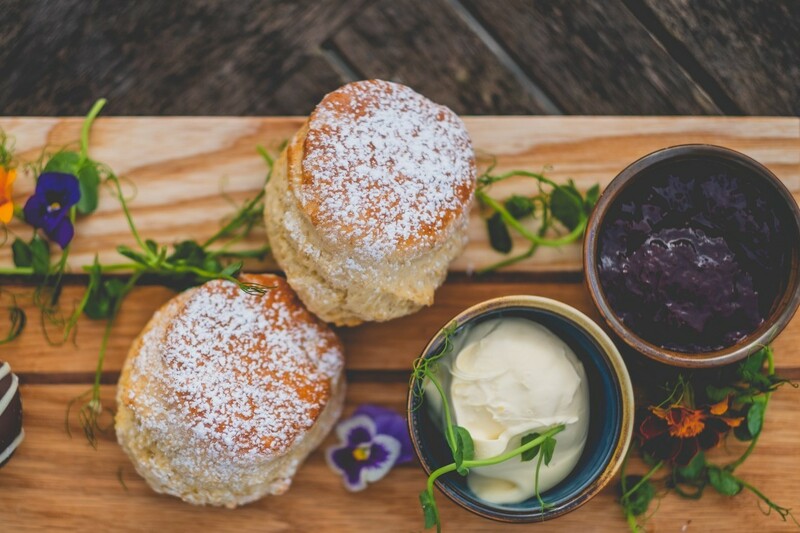 Take a seat and tuck into two homemade savoury scones with Cornish cheese and Halzephron Herb Farm chutney, served with your choice of tea or coffee. Indulge in a big slice of cake to enjoy with your drink – just ask a member of staff for the day's choice.